Fine Art techniques taught in a fun and engaging style. Places limited to 6 per Workshop. Register today! The secret to our success is teaching art techniques in a fun and engaging way. It's wonderful to see students flourish and grow confidently in their own skin by encouraging them to explore their creativity without worrying. 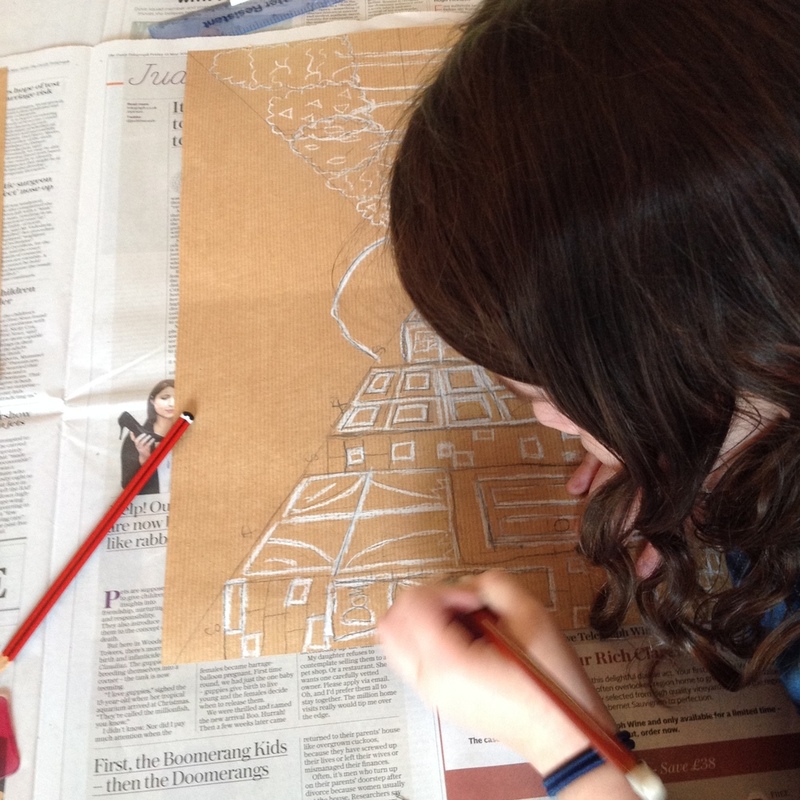 We offer age specific ART workshops for children age 7yrs - 16yrs where they learn the fundamental elements of art. Small groups of children are to ensure individual attention in a calm and friendly setting. Our Workshops take place in welcoming, happy and safe environments. Children grasp an understanding of composition, proportion, scale, perspective, colour theory, light & form. Wonderful for those who simply love art, or an additional support for those working on scholarships into high school or with GCSE portfolios. Inspired by the work of artists past and present our workshops explore a multitude of mixed media activities including using pencils, pastels, acrylics, watercolour, collage, pen & ink and printmaking. We provide you with written information sheets highlighting the project inspiration, methods, and key learning objectives. By allowing each student to explore techniques in their own unique way we offer carefully guided tuition during the creative process to stimulate their thoughts, feelings, and imagination, inspiring and encouraging each student to visually express their own ideas. By “down playing” the aesthetic value of the finished picture or painting takes the pressure off and allows them to feel uninhibited and less frightened of making mistakes. Therefore we don’t provide them with examples to follow but allow children to truly explore techniques in their individual ways. Music often plays a key role in their focus and ability to learn. All Workshops are filled on a first come, first served basis and places are limited in term time and during holidays. To avoid disappointment, payment is required in full via our Payment links to secure your child/children's place. Settlement of your payment will be deemed as full acceptance of our Workshop Terms & Conditions. Gift certificates make wonderful presents for those you just can’t think of what to buy. An experience they will always remember. Rigby Design House holds full Public Liability Insurance. Rigby Design House holds current DBS and Child Safeguarding Certificates. a fun place to learn. . . I'm really thankful we found Georgie, my daughter has found her art group stimulating & a fun place to learn new techniques she had never tried before. Georgie teaches the kids. . .
positive and gentle guidance. . .
Georgie's workshops are truly inspirational. My daughter, Olivia, loves every minute of her art class and and she doesn't want it to end. If given the choice. . .
expands her horizons. . .
My daughter Martha loves Georgie's classes. And I love that she learns so many different and interesting things. . .
Wow! What a find....the ideal after school or holiday retreat for any child or young adult. . .
My daughter loves her art class with Georgie. The art she has produced is fabulous. . . Very, very impressed with Georgie's art classes - my daughter absolutely loves them. Its her favourite. . .
We gave Olivia age 9— £80.00 to spend on what she wanted, . . .
Wow! What a find. The ideal after school or holiday retreat for any child or young adult. Georgie is amazing. Our daughter loved her first session, and hasn't stopped talking about this. . .
loved every minute . . .
Our son and daughter have loved every minute of Georgie's workshops and have flourished in their artistic endeavours as a result. In fact, our daughter. . . I enjoyed printing! We carved a pattern and then rolled ink on to the pattern. Next then put our patterns through the press and printed it. . .